Career Fair: Let’s Get to Work! 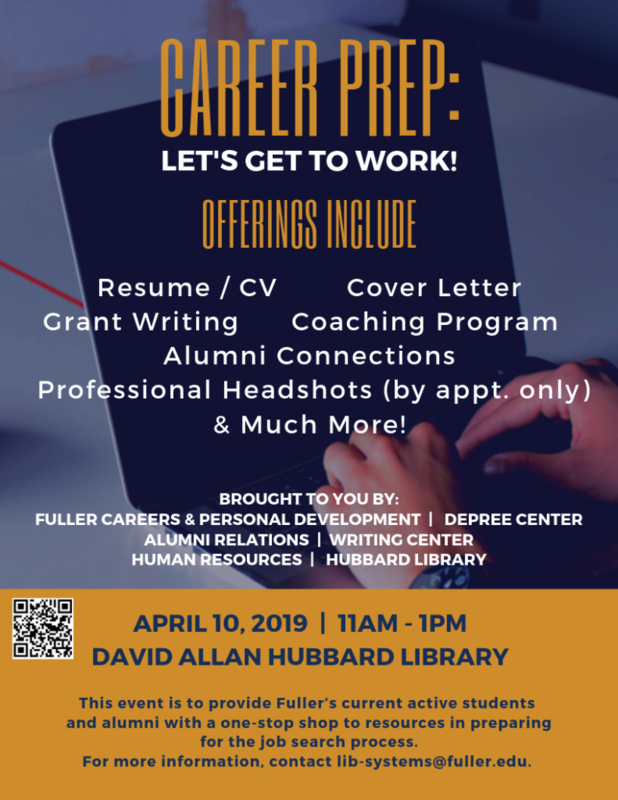 Fuller Library > News > featured > Career Fair: Let’s Get to Work! Graduation is approaching, and soon you’ll hear the dreaded question, “So…what are you going to do after you graduate?” Need help in answering that question? Look no further! If you have any questions about this event, please contact lib-systems@fuller.edu. We’re excited to see you get the gig!